We all love to buy gold, not only women loves to possess gold, a man also love to flaunt their gold chains, studs, rings etc. But we tend to accumulate gold in our personal lockers. This stops the movement of this precious metal. In order to mobilize the stocked gold from lockers, Government has come with a new scheme, where the household stock of gold can make you earn extra cash. Gold mobilization scheme will help the idle gold to convert into raw material for industrial use. As per official estimation, around 20,000 tons of gold is immobilized in the country at present. The other main objective to bring this scheme into action is also to encourage the Gem and Jewelry sector in India, by making gold available as raw materials for new designs. And also to reduce the dependence of import of gold, which will gradually help to meet the domestic demand. Since vast set up of infrastructure and various security measures are required, this scheme would initially be implemented in few main cities. Once the scheme functions uninterruptedly, it would be extended to other cities also. The scheme requires the involvement of various parties such as banks, refineries, jewelers association, hallmarking centers RBI and other various government organizations. At first the customer has to bring in the gold to nearest authorized hallmarking center that should be BIS (Bureau of Indian Standards) certified. These centers act as purity testing centers and to conduct a test they charge a fee for it. This purity center will also conduct an X-Ref test, which will access the amount of purity of gold. If the customer agrees to it than the customer has to fill up a consent form permitting melting of the gold. If the customer disagrees to the test regarding the purity of the gold, then he/ she can take the melted gold after paying a nominal fee. After this process, the gold is melted right in front of the customer and the real worth of the gold is told. Once this is done customer deposits the gold and gets a certificate by the hallmarking center stating the purity and net worth of the gold deposited. The minimum quantity a customer can bring to these centers should be 30gms. This encourages every small investor to invest in this scheme. Gold can be in form of coins or in form of jewelry. Once the customer gets the certificate, he/she needs to walk up to a bank and need to produce the certificate from the purity testing center. This will enable the customer to open a Gold Savings account with the bank. Once the account is opened bank will credit the principal along with the interest within 60 days. The customer will have the option of redeeming this scheme either in cash or in form gold bars once matured. 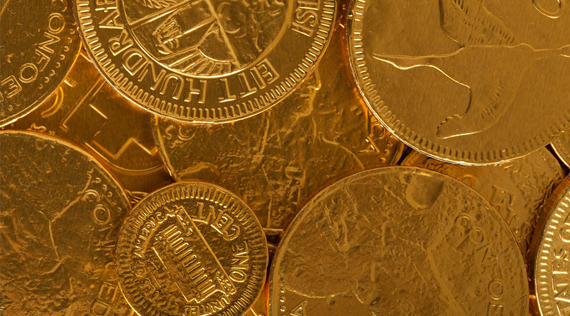 The customer has the choice of redemption at the point of depositing the gold at the Centre. The minimum duration for which the customer can deposit gold is one year. A bank will accept a short term deposit of 1 to 3 years, whereas any deposits made for more than 3 years to 15 years would be under the guidelines of the Government, RBI said. A bank can either sell the deposited gold to foreign countries to generate foreign currency or can also deposit the gold as part of their CRR/SLR requirements with RBI. Bank has also the option to convert the melted gold in coins and sell them into the commodity market or can lend the gold to the jewelers as raw material. Customers will get an exemption from capital gain tax, wealth tax, and income tax if they have invested in this scheme. Overall the scheme seems to be profit making for both the parties, viz the Government and the customer. The mobilized gold would be utilized in a proper way rather than staying inside the lockers and the customers would get interest, which the bank will decide on the value of gold deposited.